Brian Sullivan, CEO of Sky Deutschland, has quit and will leave in June. The supervisory board has named Carsten Schmidt, currently chief officer for sports, advertising sales and the Internet, as his successor. Sullivan has been CEO since 2010 and is credited with turning around its financial performance and subscriber numbers. He was previously with BSkyB, where he was responsible for the successful rolling out new services including Sky Broadband, Sky+, Sky HD and Sky multiroom. Schmidt has been a member of the Sky Deutschland management board since 2006, having joined the company in 1999. 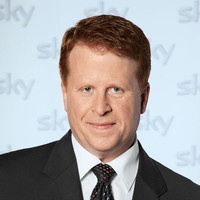 “Brian has made a huge contribution to Sky Deutschland over the last five years. He has built an excellent team who have delivered a step-change in growth and opened up the significant future opportunity for Sky in Germany and Austria. We wish him the very best as he returns to the US,” said Jeremy Darroch, group CEO of Sky and chairman of Sky Deutschland’s supervisory board. Sullivan, an American, is to return the US and may well take up a position at major Sky investor 21st Century Fox.